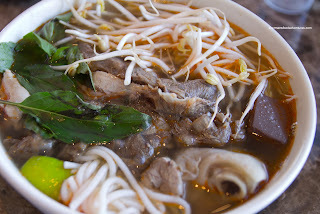 So, I ended up with the Bun Bo Hue since Viv had already called dibs on the Pho. I asked for spicy which really didn't come to fruition. The broth was more fragrant than hot. Actually, this was one of the least spicy versions I've had lately. However, I could definitely pick out the lemongrass flavour and the soup itself was quite pleasant. I loved that they kept it traditional with the inclusion of pork knuckle and pig's blood. Moreover, the meats were moist and plentiful. 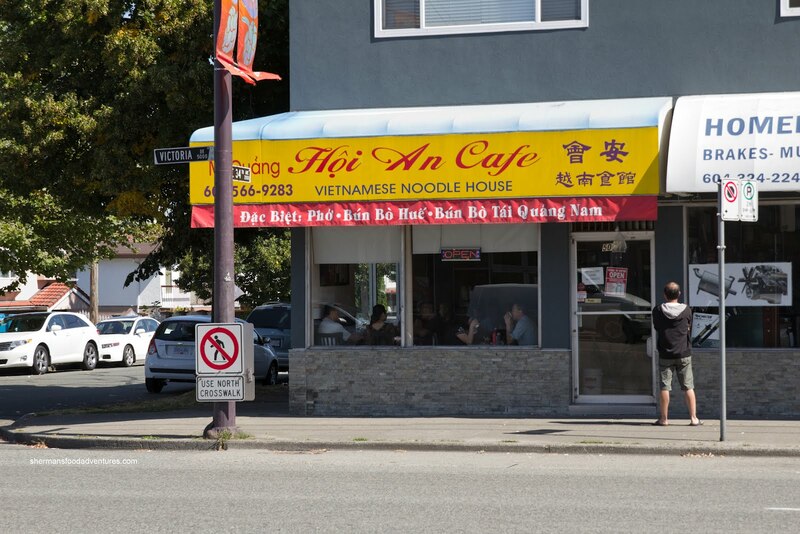 The Pho was pretty typical with a decent amount of al dente noodles a nd meat. We did find the meat a bit dry and chewy though. The broth was sufficiently flavourful with a sweet finish. Not bad, but nothing to write home about. 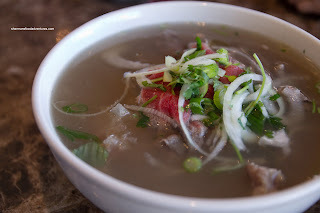 Apparently, I missed out on their signature item, the Mi Cao Lau. I need to try it next time! 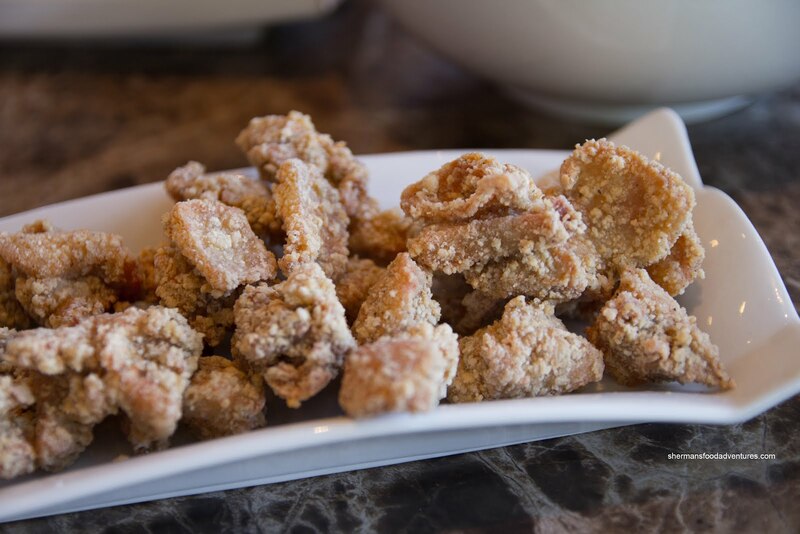 For the kiddies, we got them an order of the Fried Chicken (which resembled Taiwanese fried chicken nuggets). These little nuggets were mostly moist with a few harder pieces due to the deep-frying. The flavour was quite mild with only a minor hint of black pepper. 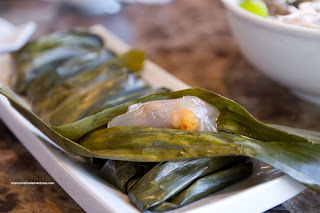 Lastly, we got some Banh Bot Loc in hopes that the kids would have some. Nope. That was a pipe dream. We tried to pass it off as sticky rice, but they didn't buy it. Viv and I enjoyed it though. The tapioca was gelatinous and soft with a piece of shrimp and fatty pork inside. Dipped into the sweet lemongrass fish sauce, it was one of the highlights of the meal. 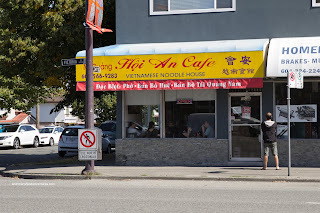 While we were eating, I was really questioning why we were eating Pho on a hot Summer day. For some reason or another, I seem to do that quite regularly. On the other hand, it is pretty hot in Vietnam... And yes, it was pretty warm in the restaurant. Either the A/C was weak or they didn't have any. Whatever the case, the food was generally pretty good and the prices were pretty typical. Although the service was hurried, the staff were friendly and efficient. I'd return for another meal.